In 1983, President Ronald Reagan issued a proclamation establishing a National Sanctity of Human Life Sunday (SOHLS), a day set apart to focus on the intrinsic value of human life and the fundamental right to life, as recognized by the American Founding Fathers. Since then, SOHLS is held on the Sunday in January that falls closest to the day on which the Roe v. Wade and Doe v. Bolton decisions were handed down by the U.S. Supreme Court on January 22, 1973. In 2016, SOHLS will be commemorated on January 17th. Some people have decided to bury the importance of the Roe decision by redefining ‘Culture of Life’ in a way that actually ignores and plays down the significance of the law licensing the killing of these children. 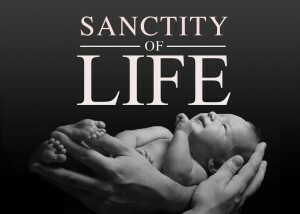 Ask your pastor to include a Sanctity of Life bulletin insert in the Sunday Bulletin. Show a short video to bring attention to the reality of abortion still present in our society and to highlight the life-giving work being done which is so much more appropriate than killing these vulnerable children. Consider inviting a speaker from a local Crisis Pregnancy Center who would be willing to explain the significance of Roe v Wade or a California ProLife Speaker who could comment on the nature of the day, and why churchmen and women should be attentive to the civic duty to have protective laws in place for vulnerable babies. They can volunteer at at a pregnancy center or work as a remote volunteer for California ProLife – we are committed to restoring legal protection for vulnerable children.